I am Sowmya Suresh, I live in Chennai with my husband and my daughter. Welcome to my blog world where i share bits and pieces of my life, things that interests me and our travel. I am a daughter of a proud parents,Messy sister of a classy women, Wife of a Gentleman , daughter-like of understanding in-laws, A mom of a Drama queen and an Aunt of a Rowdy boy!! I love celebrating motherhood, family, travel, good food, good and healthy life and life’s simple joys. Motherhood is a special feeling and like every other mom i am learning everyday to be a better mom! Being mom doesn't mean that one should forget herself. When my daughter grew up and I could afford some me time I thought i shall share and discuss my experiences and thoughts in this blog. 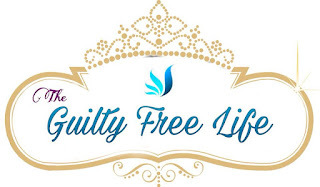 Please follow My blog to experience how I live a guilty free life as a wife and a Mom. IndiaRush.com is a top Indian online shopping web site, which help online shoppers to save money and receive quality products while shopping. We have nearly 3.5M+ traffic per-month in fashion categories. I recently came across your http://www.theguiltyfreelife.com/ and found that it’s very useful to real online users. I was wondering; do you accept guest post on your blog? Our site consists of all categories. So it would be a perfect fit for your blog. I will provide you 100% Unique & Copyscape passed content along with high quality images. We would like to send you blog content with one or two links of our site to post in your next post. Please do reply us back the procedure to do the same.